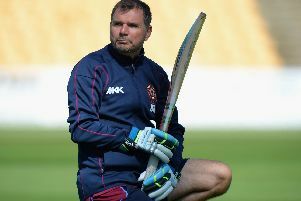 Northants have been eliminated from the Royal London One-Day Cup after suffering a 34-run defeat at Worcestershire on Sunday. The Steelbacks needed to win at New Road to keep their chances of making it past the group stages alive. But they were unable to hunt down the home side's 348 for five as half-centuries from Adam Rossington (63), Rob Newton (61) and Rob Keogh (51) proved in vain. Northants, who were bowled out for 314 inside 49.4 overs by Worcestershire, have won just two of their seven North Group games, losing four of them. They travel to Yorkshire on Thursday, but a win would not be enough for David Ripley's men, who sit seventh in the standings.